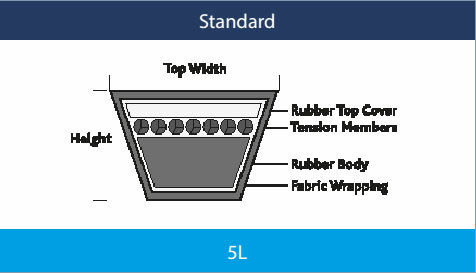 Profile Outside length (1/10″) Conti ref. Vflex ref. Standard ref. Dayco ref. Gates ref.